No two people have the exact same background and experience; therefore no two résumés should be alike either. Nonetheless, there are typically three major types of résumé templates that job seekers utilize to showcase their qualifications; chronological, functional and combination. A chronological resume typically will begin with listing your professional experience, beginning with your most recent job first and continue in reverse chronological order. A job seekers key accomplishments and qualifications are incorporated to present to hiring managers a sense of the work one has accomplished in the past and what you are capable of performing in the future. The education piece follows, as well as the degree(s) you have earned and the universities you have attended. You would also include your major and any awards or honors you have received. For new graduates you should always list your education first, then your experience. Also you should include a skills section that highlights your computer skills, and any other technical skills related to the position your applying for. On average, hiring managers prefer this type of resume. The reason being is they can simply scan which positions you have held in the past, for how long you held them and what your highlights were at the position. Basically a chronological resume can promote job seekers with a well-built work record. A functional resume will focus more on the skills a job seeker has obtained, than a list of the past positions one has held. This type of resume typically highlights some of the experience and will list one’s responsibilities and accomplishments for each sector. These particular skills should be detailed and overflowing with plenty of context. In addition, they should be targeted to the specific position one is applying for. If you are a new college graduate, you may want to choose a functional resume. Also, if you are a job seeker without a great deal of professional work experience or may have a gap in your job history. This type of resume may also benefit job seekers who have changed careers or are thinking about changing careers. However, keep in mind that hiring managers don’t typically prefer functional resumes. It’s difficult for them to understand the candidate’s career progression. The third type of resume is a cross between the chronological and functional resumes. The skills and accomplishments are listed and followed by one’s professional background listed in reverse chronological order. The professional background section should list only your job titles and name and location of past employers as well as the dates of employment. 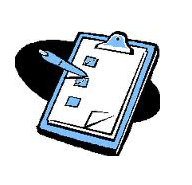 In the professional skills section is where you list the skills you performed at each job. 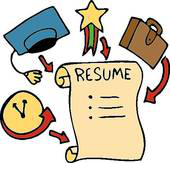 When crafting a resume, work experience is usually listed in reverse chronological order. However a functional resume is typically organized by skills rather than in a chronological format. The issue here is that many hiring managers detest them. A potential employer would like to see your career experience upfront. Here are some pointers in order to showcase your experience. Ensure to focus on transferrable skills. What skills have you utilized in your prior positions? Which skills will transfer into a new position and have an impact in a potential new position? Attempt to emphasize skills such as ability to delegate, strategic planning, decision making and management. Don’t list experience that does not relate to the position your applying for. 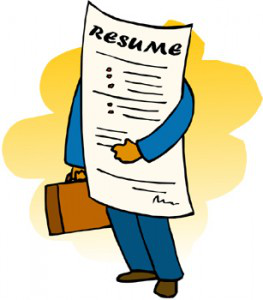 Each resume is a tailored career document that targets a specific position. Above all, there is no law that states to list each and every job you have ever held. Once you land the interview, the hiring manager will ask you about the gaps in your career background. That is the time to explain to him/her that in the interest of presenting a concise resume, you left some non related position of your career document. These are the three major types of résumé templates that job seekers utilize to showcase their qualifications. Keep in mind that hiring managers don’t read every resume and will try to understand the candidate’s experience. Typically they scan hundreds of resumes and have to do a large amount of reading to match the skills with the position. Hiring managers scan for specific keywords as well. Which type of resume template do you prefer and why?